Cable TV, Ceiling Fan, Playground, Walk-In Closets. Air Conditioning, Breakfast bar, Ceiling Fans, Furnished, Kitchen Island, Network/Internet Wired, Smoke Alarm, Walk-In Closet, Washer and dryer. Barbecue, Fencing, Fireplace/Fire Pit, Horse Facilities, Outdoor Living Space, Patio, Storage Shed, Thermal Windows/Doors. The property is located on the Red River, just north of Saint Jo in the northeastern portion of Montague County. The physical address of the property is 4648 FM 2953, Saint Jo TX. The ranch is 1 hour 45-minute drive north of the Dallas and Fort Worth area. Numerous wineries/vineyards are nearby, and several have beautiful tasting rooms with live entertainment. Several picturesque towns with fabled Texas histories area also nearby, such as Saint. Jo, Muenster, which provides excellent places to eat, shop and explore. Land/Terrain/Topography: The ranch is in a very hilly part of Montague County and along the banks of the Red River, with long views of the countryside, the river, and across the river at Oklahoma. The ranch, as well as the surrounding countryside, is a combination of rolling pastureland and heavily treed areas with numerous ravines and creeks providing tremendous wildlife habitat. There are several improved pastures with great grass for hay and livestock. The elevation on the property ranges from approximately 850 +/- feet above sea level at the highest point of the property on the southern end of the ranch along the farm-to- market road. The lowest point of the property is approximately 741 +/- feet above sea level on the northern border of the property along the banks of the river. There is a diverse variety of soil types on the ranch including some sandy loams and rockier soils. Improvements: The main entrance off the well maintained and paved farm-to-market road is through an attractive iron gate with code access. The all-weather drive leads to the main house which sits atop one of the highest points on the ranch with magnificent views of the Red River and the surrounding area. The 3 bed, 2 bath home has an open floor plan/great room with vaulted ceiling, large windows with magnificent views, large stone fireplace, and gourmet kitchen with large granite island which make any true sous chef jealous. The fully equipped kitchen includes both a gas range and an electric range, two sinks, double oven, abundant counter space, and walk in pantry. A large covered porch wraps three sides of the house offering views of the landscaped yard with retaining walls, and the open patio area that surrounds the firepit that overlooks the river. The property is well fenced and cross fenced for livestock and numerous gates to both roads and pastures. Water: The water on this property is exceptional. The main water feature on the ranch is the two miles of frontage on the Red River. Red Branch Creek flows north to south on the eastern side of the property. While across the ranch, there are several stock tanks in various sizes, and oxbow lakes that were previously part of the Red River. The home and improvements are serviced by a water well. Recreation/Hunting: The property is well suited for a variety of hunting and recreation due to the excellent habitat for all kinds of wildlife including deer, turkey, wild hog, duck, and dove hunting, as well as fishing along the banks of the river or in the stock tanks near the river. There are numerous trails throughout the property for hiking, mountain biking, and four wheeling. Minerals: Seller believes to own a portion of the minerals. Contact Listing Broker for additional information concerning the minerals. 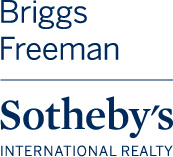 This ranch is being offered For Sale and is Exclusively Listed by Harlan Ray & David Burgher of Briggs Freeman Sotheby’s International Realty. Buyers Broker must be identified on first contact, and must accompany buying prospect on first showing to be allowed full fee participation. If the condition is not met, fee participation will be at sole discretion of the Listing Broker. Prospects may be required to provide proof of funds prior to a scheduled showing.